More Spooky praise! I am still amazed at the power of Spooky. Now it is time for Lyme to go bye bye. ?More Spooky praise! I am still amazed at the power of Spooky. ? After 4 months of using spooky to strip layers, mostly running parasite kills, lyme is finally showing up for the kill. 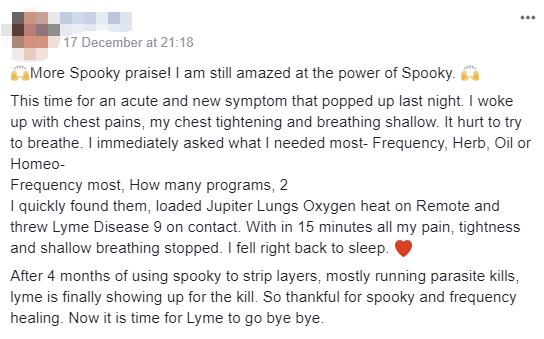 So thankful for spooky and frequency healing. Now it is time for Lyme to go bye bye.